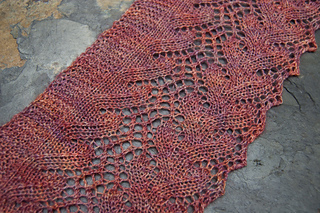 Approx 31 sts = 7 ½“ 19 cm and 12 rows = 2 ½” 6.5 cm in Lace patt, blocked and measured at widest point. 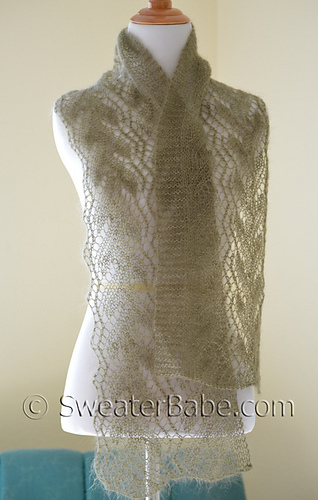 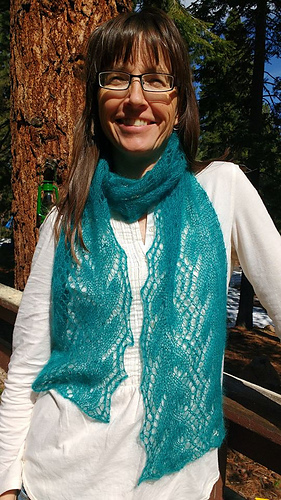 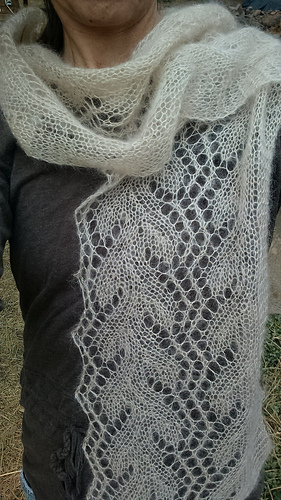 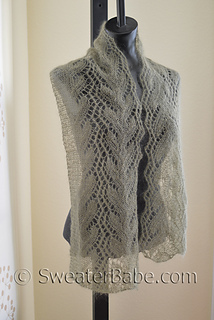 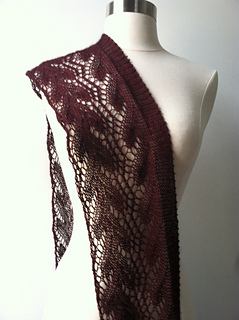 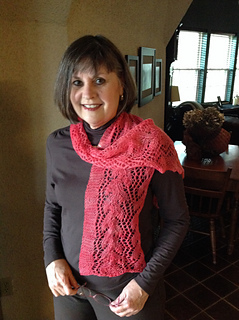 When a heavy scarf just won’t do, grab this gossamer-weight lace scarf instead! 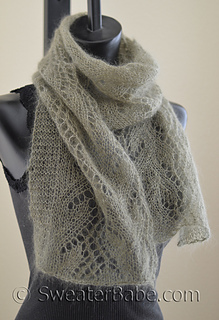 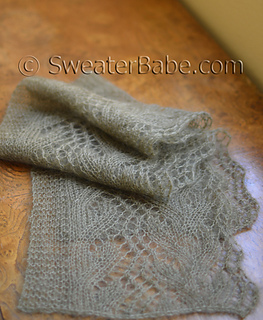 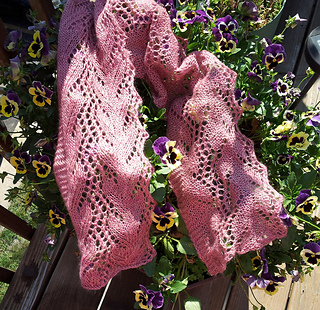 The silk/kid mohair blend lace-weight yarn knit on size 9 needles creates a supremely soft scarf. 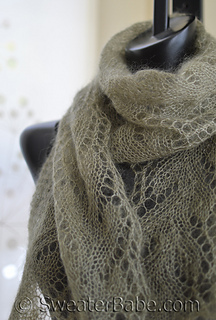 PLUS, it’s knit from just one ball of Elann.com Silken Kydd yarn… making it an ideal gift knit or quick knit for yourself!